Do you love time-travel? You’ll love this. Real characters, mystery and adventure combine in this emotionally intelligent page-turner. Described by readers as sharp, mind-bending and fearlessly funny. Can Joseph Bridgeman reach 1992 and save his sister? 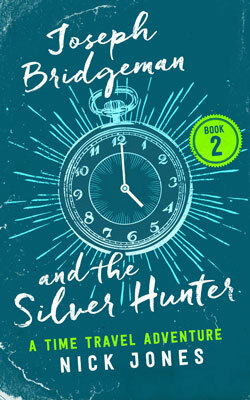 When he accidentally discovers he can time travel, Joe sets out to change the course of his life. He needs to get back to 1992, the year his world fell apart, the year his sister, went missing. The only problem (apart from his clothes disappearing) is that the further back he goes the less time he gets to stay there. Can Joe master his new-found gift before time catches up with him? 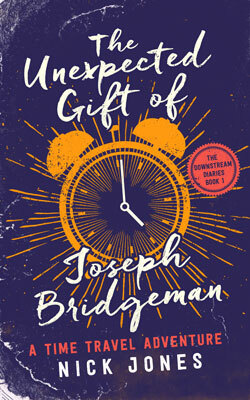 Joseph Bridgeman is back and dreaming of a quiet life. All he wants is to re-kindle his relationship with Alexia Finch, get to know his estranged family and catch up on the last twenty years. But when a mysterious time-traveler arrives in his shop, Joe learns his first trip was only the beginning, and this time the stabilisers are coming off. Time doesn’t heal, after all. It just adds salt. Book 2 in The Downstream Diaries; an emotionally intelligent time travel series featuring action, mystery, thrills, sadness, comedy and mind-bending twists.